The rainy season is here! Despite the dark clouds and the cold weather, looking dull and dreary is definitely not an excuse. 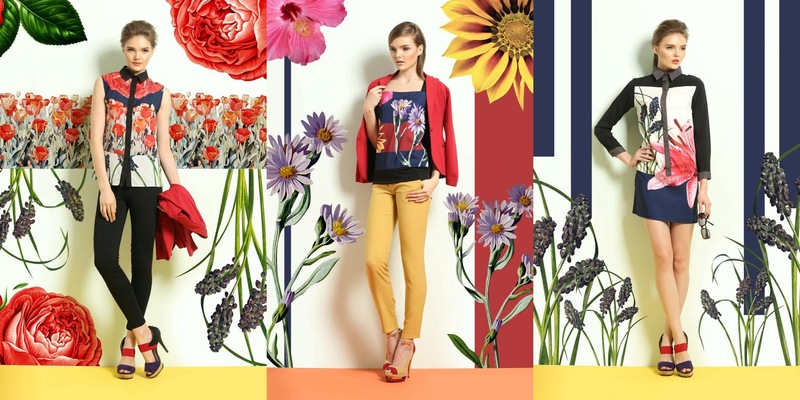 What we need are pops of fresh colors and prints to brighten up our looks in this not-so-bright weather. Freeway gives you what you need to brighten up that day! Florals are taking over as Freeway brings out a special collection featuring its own exclusive prints exuding the perfect balance of femininity, charm and allure. It consists of tops and dresses featuring simple silhouettes and styles with stunning prints made out of soft, loose and flowy material, all with that comfort stretch component. The prints are comprised of blossoms with a watercolor and painting effect, seemingly comparable to wearing a beautiful collage of roses, tulips, orchids and more on a canvass. As for the colors, a mixture of sweet colors such as pink, blue, yellow, red and green are used, very much like the hues you see on a beautiful garden. As for the footwear, complementing the collection’s soft and feminine theme are lovely shoes from Janylin and Muñiz. Known for innovative ideas, Freeway first featured the renowned works of National Artists as a tribute to these legends through its National Artist Collectors' Series. Now, Freeway develops its own prints so that you can own that special item which you can't find anywhere else. Debuted in February this year, the line of own prints has been successful, prompting a development of more beautiful collection monthly. This collection will add sunshine to your wardrobe that can chase away a gloomy day. Definitely something women can wear and style on a day-to-day basis whether in the workplace, a day out with friends, or on a romantic date night, Freeway’s own exclusive Mixed Prints Collection embodies the qualities an empowered and graceful woman possesses. Catch this collection at Freeway stores nationwide! All photos/materials ⓒ 2019 Ava Te-Zabat unless otherwise specified. Please do not use them without acknowledgement or permission. Thank you.